Driving in the snow can be a nerve-wracking experience for even the most seasoned winter pro. The best thing you can do is to be prepared as best you can. 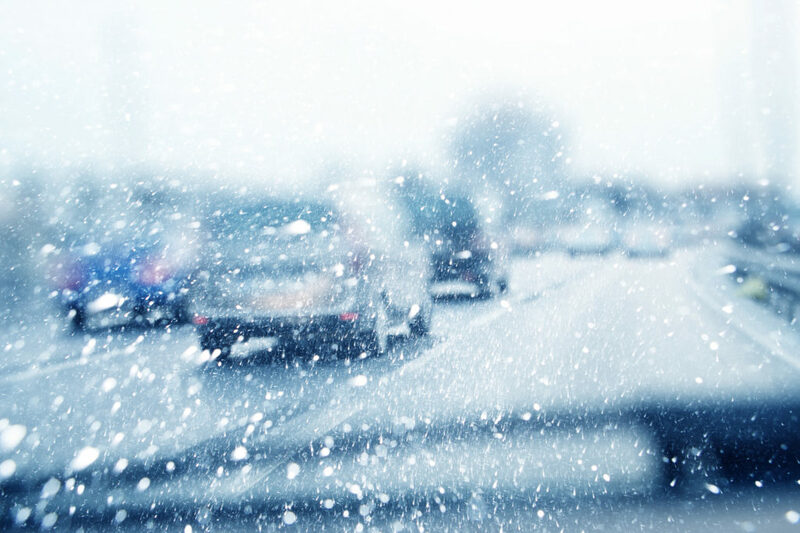 Here are some tips to help make your snowy commute a little less daunting. You ideally should inspect your vehicle before winter kicks into full gear. Your tires should be properly inflated to ensure they have as much traction as possible. Check your antifreeze levels and that you defroster, windshield wipers, and rear window defogger are all working properly. You should also have a winter preparedness kit in your vehicle, just in case. The general rule of thumb is to allow 4 to 6 seconds between you and the vehicle in front of you. In winter conditions, this should be expanded to 8 to 10 seconds. This gives you plenty of space for braking and unexpected sliding. Keep your eyes open for places you need to stop, such as intersections and stop signs, to give your vehicle as much time as possible to stop. This may be your first instinct when your car starts to slide, but this can actually be more dangerous. Slamming the brakes can cause the tires to lose traction and may result in your inability to control the vehicle. If you feel yourself start to slide, ease your foot off the gas and let the car slow down on its own. As long as the tires are moving, you still have traction and can steer. Finally, don’t forget to wear your seatbelt. This is the most effective way to help prevent potential crash related injuries.